Julio Uriarte 2 years ago. Here is the much awaited Nougat 7.0 ROM for Moto G4 plus CyanogenMod 14 (CM14). You might know that CyanogenMod is now continued as Lineage OS. Stay tuned to the Lineage OS 14.1 Devices list page to get more updates on Lineage OS ROMs. This Nougat 7.0 has come for Moto G4 plus via CyanogenMod 14 ROM. Since Google released Android Nougat Source code, we have update many Android NOUGAT AOSP ROMs and also many CM14/CyanogenMod 14 ROMs updated and many are yet to come. This Moto G4 plus for CyanogenMod 14 is brought to you by developer regalstreak. In addition to this UNOFFICIAL build OFFICIAL CM14.1 for Moto G4/G4 Plus has also arrived. It is strongly recommended to update the OFFICIAL CM14.1 ROM on G4/G4 Plus. Installing a custom ROM on a the Moto G4 Plus may require the bootloader to be unlocked on Moto G4 plus and a Custom Recovery on Moto G4 plus, which may VOID your warranty and may delete all your data. Before proceeding further you may consider backup all data on the phone. You are the only person doing changes to your phone and I cannot be held responsible for the mistakes done by you. ALSO KNOW THAT THIS IS A DEVELOPMENT BUILD AND CONTAINS MORE BUGS THAN YOU CAN THINK. 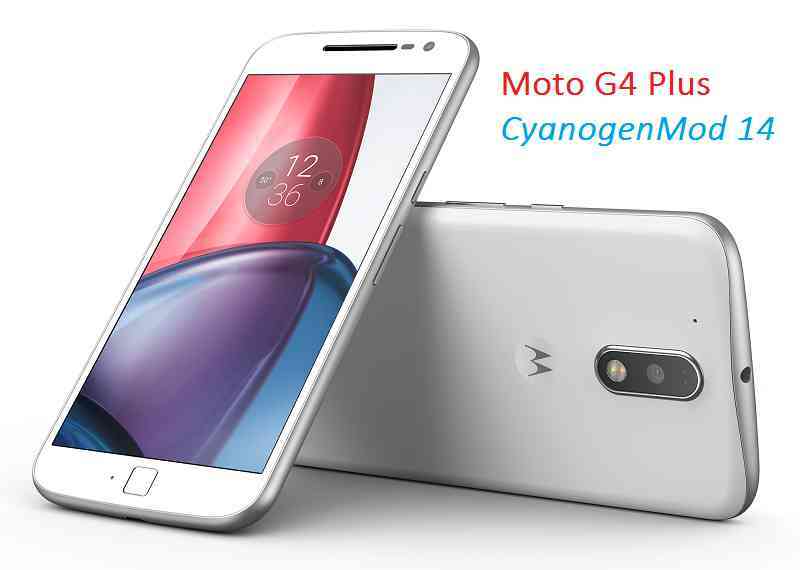 Download and Copy the Nougat GApps and CyanogenMod 14 Nougat ROM ZIP to Moto G4 plus. First flash the Moto G4 plus CM14 ROM ZIP from device. Reboot and Enjoy the CyanogenMod 14 Nougat ROM on Moto G4 plus. Stay tuned or Subscribe to the Moto G4 plus forum For other Android Nougat ROMs, CyanogenMod 14 ROMs, other ROMs and all other device specific topics. The development thread for Moto G4 Plus CM14 ROM is here. Tried new one but still gets stuck in bootloop. I guess this is only for XT1642. If you have some other variant then this ROM will NOTE work. Hi. Good job!!! Only one thing, Turbo Charger Doesn’t work. I know CMTeam can fix this! 😉 Regards!